To promote your book online, you need to keep working on hooking new readers. There are so many ways to promote your book, but sometimes it is very simple book promotion changes that can make a big difference to your book sales potential. Often the common problems with online book promotion is that it can become repetitive and potential book buyers become advertising immune. The problem of repetition is especially the case on Facebook and Twitter. If you are using social media to promote your book, it might well be time to think about creating alternatives that you can post to create more variety and interest. In an earlier post, I wrote about Five Ideas To Promote Your Book, which you may also want to read. But now, here are five more new and quite easy to implement ideas to help you promote your book more effectively. 1. Write new articles about your book. 2. Write two completely new book descriptions. 3. Change the colour of your book cover. 4. Change or update your online profiles and bios. 5. Change the theme of your blog or website. Write three new blog posts about your book that you can then share in rotation. Take a different perspective in each article, such as the main protagonist, the setting or time period, or about your motivation or inspiration that led you to write the book. Importantly, use different images for each post to add to the variety and avoid using your book cover, as it has probably been posted hundreds of times already. You can also try to contact bloggers and ask them if you can write a guest post about your book. 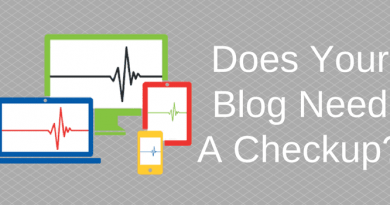 Many bloggers are looking for content, so you might be surprised by how many are ready to accept your guest post. Again, though, make sure it is new and original and content that you will then be able to share. A few articles on your blog, plus three or four on other blogs will give you a lot more variety to use for your book promotion. Your book description is your second most powerful book promotion tool after your book cover. If you have not changed your book description in a while, think about giving it a new lease of life with a total re-write and create a better chance of hooking new readers. When you have done that, do it again! Changing your book description has advantages that you might not have considered. Firstly, as it is an important component in your book metadata, a complete re-write may gain you better search results because of the new words and phrases included in your new book description. Secondly, you probably wrote your original book description in a rush, so going back and starting from scratch will more than likely produce a far, far better version. If you are not published exclusively on Amazon, you can also try using your different book descriptions on other publishing platforms to discover if one version works better than another. Having three well-written book descriptions also come into use again for variety when you are posting on social media. The main overall colour of a book cover can make a huge difference in attracting the attention of book buyers, particularly online, with thumbnail images being such an important component in attracting attention. Ask your book cover designer if he or she can change the main background colour of your cover, and if agreeable, perhaps create two new colour versions. Some may charge you a little, but in my case, the last time I asked my designer to make a small change to one of my covers, it was free of charge. As with book descriptions, changing a cover can sometimes make all the difference, so experiment with the new versions. You can try different versions on publishing platforms, or if you are exclusive with Amazon, try changing the cover once a month. Having three different cover versions is also a great blog topic, where you can ask your blog readers to tell you which one they prefer. Or, on social media, create a poll to attract attention. How long has it been since you updated your details on your blog’s about page? What about your profile image? Think about all the sites, social media platforms, and even places where you comment such as newspapers, Disqus and WordPress, and update your profiles, bios and where possible, your author image. Writing an author bio is always a chore, but with a little imagination, you can write something highly original that will improve your online author image and hopefully, attract more attention. Almost all blogging platforms allow you to change the layout, theme, colours and typography of your blog. Experiment a little and give your blog visitors a change of scenery. Many sites I visit are dark and unwelcoming, and especially on mobile devices, hard to read. Attractive and functional website design now is very much about bright, clear, crisp, uncluttered and easy to read websites that are easy to view, read and navigate on mobile phones and tablets. Look at some popular websites and blogs, and you will notice that most are spacious, have a light, or white background with text that is dark grey. Black text is hard on the eyes on small screens, so it should be avoided except for headings. A blog or website that is easy on the eyes and simple to navigate will always keep visitors and readers much, much longer, which is precisely what you need if you want to sell more books. The ideas above are primarily about adding variety to your book promotion, and in combination, will make your book promotion and advertising more effective. Do a little audit of your current online activity and look for areas that might have become repetitive, and try to make some changes. One small change can sometimes make all the difference. Hi Derek ,Thank you very much for great advice ,I will start making some changes .